China needs Sudan/South Sudan oil, but also both South Sudan and Sudan depend on Beijing for the revenues and infrastructure to extract the oil. Khartoum was already dependent upon Beijing for political and military support in view that its top leaders had been indicted by the ICC (International Criminal Court) and isolated from western democracies as consequence of years of civil war and crimes against its own people including but not limited to Darfur. Beijing does not care, or more accurately, it cares more about the oil. It is South Sudan though that actually sits on most of the oil reserves. 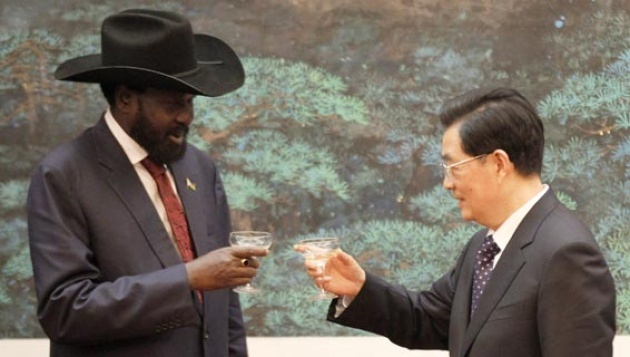 Thus, it would not be unexpected if Beijing also became a good friend of South Sudan despite that western governments and secular/religious NGO’s urged the new state’s independence. President Salva Kir of South Sudan was not in China (Photos Above) by mere coincidence as Sudan’s Army and planes were threatening an invasion. South Sudan had successfully captured an oil field under Sudan’s control Heglig, (See our Blog for Film – “South Sudan Invades”) and even as South Sudan’s Army had withdrawn, the Khartoum leadership was eager for payback. (The “Enough Project” NGO has attributed responsibility to both sides for more recent fighting directly and through proxies, although Khartoum has the much blacker record while South Sudan was blamed for the invasion and destruction of the Heglig oil field). Both governments in South and North appear to be playing to the war cries of respective population; however Khartoum’s leadership of Omar al-Bashir has even more reason to employ conflict to divert attention from repression domestically and having lost half the country. Beijing is the only outside force that may hold sway. Washington and Europe perhaps have some clout with South Sudan, but very little with Khartoum. The UN Security Council may proclaim words and judgments, but even to extent such are meaningful China as veto wielding Permanent Member can protect its proxies. Much of Africa is already swaying to China’s policy of expediency, hungry appetite for resources and markets and easy investments. In Addis Ababa, Beijing has already built the African Union’s new Headquarters. (Blog for Video –“China Stakes Claim in Africa”). South Sudan perhaps feels some sense of gratitude to the west for independence. 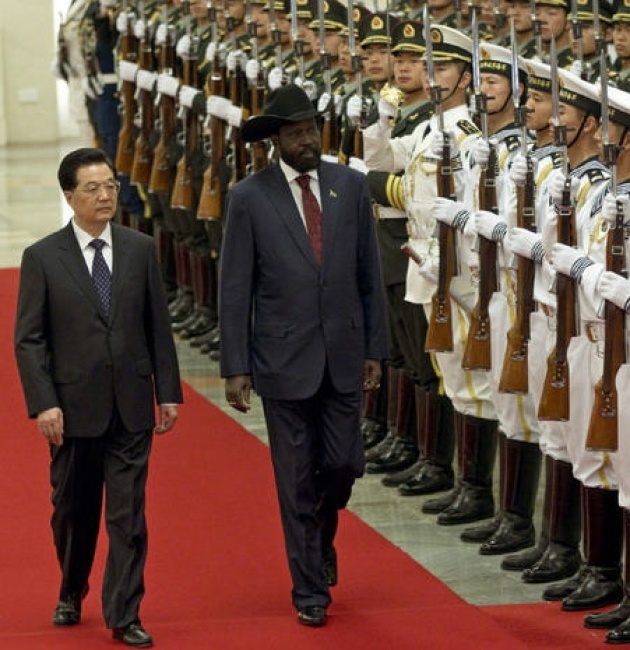 It is though China’s money that will pay, weapons that will determine winners, and, from perspective of South Sudan, it may be Beijing’s diplomacy that can bridle Khartoum’s military aspirations.